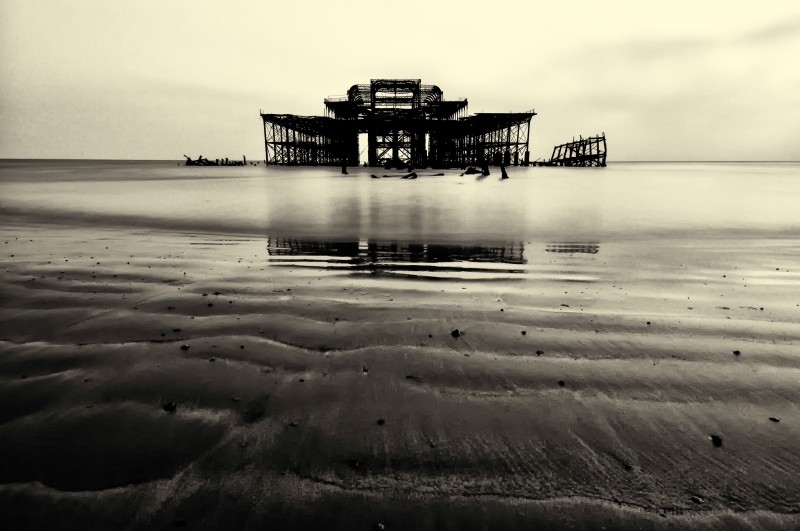 The West Pier in Brighton has been Britain's most iconic pier for almost a century and a half. The pier had been in? decay for some time when in 2003 it caught fire. Firefighters were unable to save the building from destruction because the collapsed walkway prevented them from reaching it. Today the eerie beauty of the Brighton seafront reminds us of bygone times.